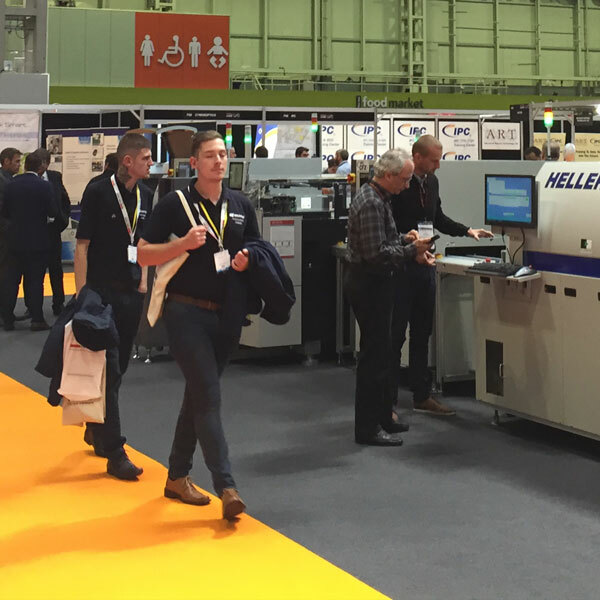 What’s New in Electronics has announced that its WNIE Live event will again return in September 2019, offering a highly valuable event attracting high-quality exhibitors and visitors alike. Last year’s event provided visitors with the opportunity to witness hundreds of new products, as well as a plethora of industry innovation in action, and welcomed over 3000 visitors through its doors, with positive feedback from participants regarding the quality of the show and its innovative features, such as the global debut of IPC CFX, demonstrated as part of a live line, with support from the Manufacturing Technology Centre, and the IPC hand soldering competition. This year WNIE Live will once more be located in the midlands, a major centre of R&D, test and development and manufacturing within the UK. Strengths of hosting in the region include it being home to two advanced manufacturing centres, Catapult Centres, at the MTC and WMG, University of Warwick, as well as the home of major auto/ aero/ rail/ defence OEMs and their supply chains, heavy users of electronics and systems. The midlands region is also the location of the new UKBIC – UK Battery Industrialisation Centre and National Automotive Innovation Centre, as well as home to the recently announced Smart City Mobility Centre, at Wellesbourne Technology Park. Together with the excellent road, rail and air links into the region, and a broad range of accommodation, the region remains a no brainer as the ideal location for WNIE Live 2019.